Seven states will be testing the state lidar acquisition planning guide developed by NSGIC as part of the 3DEP for the Nation collaboration with the USGS National Map 3D Elevation Program and the Federal Geographic Data Committee 3DEP Working Group. Iowa, Illinois, Montana, Ohio, Tennessee, Washington, and Wisconsin will receive a draft of the guide to put into action and report monthly on what worked, what’s insufficient, what’s missing, and which external resources should be referenced. This information will help to refine the guide, which is due to be completed for NSGIC membership use and comment as early as February 2019. 3DEP for the Nation addresses the need for high-quality topographic data and three-dimensional representations of the nation’s natural and constructed features. 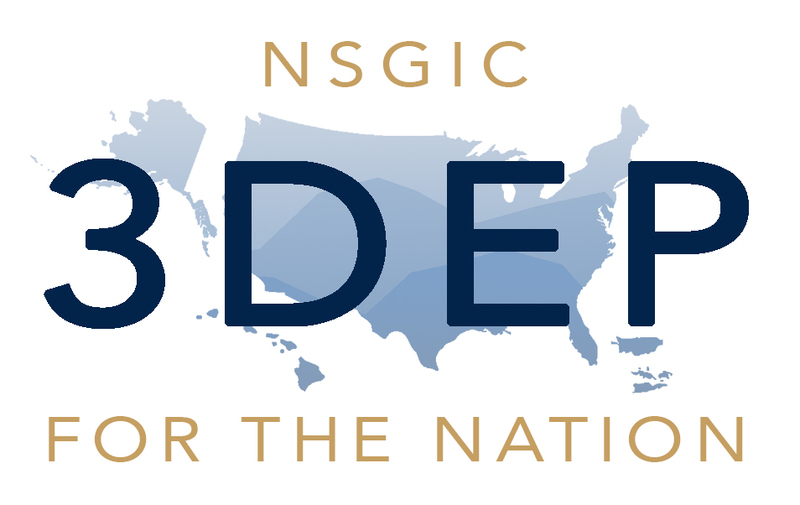 Believing 3DEP coverage across the US can be most effectively achieved by establishing plans for each individual state and territory, NSGIC is leveraging its strong working relationships with state geospatial information officers and coordinators to develop these plans. The state guide was developed using existing lidar plans, a NSGIC state business plan template, and information solicited to collect lidar under the USGS Broad Agency Announcement (BAA). It will include guidance that not all of the downstream elements of the plan will be immediately executed, but should be included and discussed by states. The resulting state plans will be dynamic documents with regular updates in subsequent years, providing states the opportunity to expand utilization and maintenance elements. Next week, project manager Lynda Wayne will join USGS’ Vicki Lucas and Diane Eldridge at the summer conference of MAPPS - the national association of private sector geospatial firms - for a panel discussion on expanding 3DEP partners using the BAA. Together, local governments and commercial partners can use the BAA to collect lidar and increase 3DEP coverage. Planning is underway for a September 30 pilot project workshop at NSGIC’s Annual Conference in Duluth, MN. Representatives from the pilot states will review the status of their state plans, share lessons learned, and explore BAA opportunities. To learn more and get involved, visit nsgic.org/3dep-for-the-nation.